The huge foreign exchange market has only recently become widely available to retail traders after the introduction of online forex brokers. These days just about anyone with a modest cash deposit, a relatively modern computer and an Internet connection can get involved in trading currencies. Many of the newer forex traders entering the market have had little or even no professional training in how to trade financial markets. Like many gamblers entering casinos, they are often attracted by the questionable appearance of easy profits that can be made with only a modest capital investment. Unfortunately, just like most gamblers, many of these untrained forex newbies end up wiping out their trading accounts by making common beginners’ mistakes that could have been readily avoided. Many novice traders overlook or simply ignore one of the key maxims followed by most successful traders, which is to “plan your trade and trade your plan”. This article is aimed at introducing the newbie forex trader to the various concepts related to building and following a forex trading plan. And in doing so, to help them transform their interest in currency speculation into a more fruitful long term business. Just about anyone seriously intending to invest their own funds or attract other investors’ funds into a start-up business would first create a business plan. This common planning process gets the prospective businessperson to take the time to strategize and organize their thoughts in writing about such things as: why the business makes sense for them, how they intend to operate it, what their competition is likely to be, and what sort of return they would expect to make on their investors’ money. 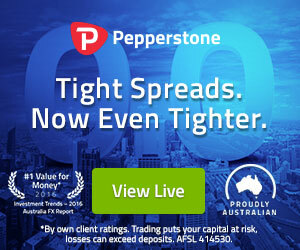 Engaging in this sort of preliminary forex planning process — rather than just jumping into taking positions in the forex market without a plan — helps differentiate the forex trading business person from the gambler who is just wildly speculating in the currency market without proper analysis or planning. Although currency speculators can certainly have winning trades, their disorganized behavior significantly reduces their chances of long term success at forex trading in comparison to those traders who have learned to plan and trade currencies strategically in a highly disciplined manner. Since taking higher risks can often mean suffering greater losses, speculators’ trading accounts typically pay a heavy toll for their lack of foresight and planning. This helps explain why so many novice forex traders eventually find their trading capital has dwindled down to almost nothing after entering into a series of currency trades while being focused primarily on the potential profits without due concern for the financial risks involved. Using excessive leverage. Although some countries like the United States have reduced the leverage legally available to retail forex traders, any sensible trader needs to remain cognizant of the magnified risks they are taking by using leverage when trading forex. Always keep in mind that using leverage to take greater risk in pursuit of higher profits can also result in bigger losses. Allowing losses to run. Most experienced traders have learned to avoid the pitfall of thinking they are right and the market is wrong. They therefore cut their losses short on unsuccessful trades to save their account instead of potentially having to take much larger losses down the road that could put them out of business. Failing to take profits in timely manner. One of the old trading maxims is to “never let a winning trade turn into a losing trade”. Many novice traders hope for even more profits when they have a winning trade, so they end up being disappointed when the market subsequently retraces and wipes out most or all of their gains. Planning in advance how profits will be taken can help alleviate this problem. Not adapting to changing market conditions. Trading strategies that seem to work well in trending markets often fail to produce profits in corrective or ranging markets. Traders need to assess market conditions and plan ahead to change their trading strategy accordingly or refrain from trading in unsuitable conditions altogether. Allowing emotions to dominate trading decisions. One of the best things about having a good trading plan is that it helps you objectively deal with situations that can arise when trading so that you do not fall into the common pitfall of getting carried away with your emotions while trading. Experimenting rather than using strategy. Experimentation and practice may be helpful ways for a novice trader to learn about trading currencies and develop a profitable trading strategy using a demo account. Nevertheless, once you are trading with real money, you will really want to allow your pre-planned trading strategy to rule your trading activities rather than allowing trial and error to seep in. Being unrealistic. Although exceptions certainly exist, the market for a particular currency pair typically only moves so much over any given time frame. A good trading plan should help make sure that your market objectives are realistic for any trade contemplated or taken. Taking a currency pair’s historical and implied volatility into account can be one way of doing this. Due to the significant risks involved in trading currencies without a suitable plan discussed above, those new to forex trading would be very well advised to take some time learning about trading, practicing in a demo account, and forming a sound forex business plan to organize their trading activities. Most experienced travelers like having a detailed map to guide them before they start out on a trip to a new location to avoid losing their way. Like that map, organizing your forex trading business using a well-defined written trade plan has many benefits and can really help you from getting lost while trading and potentially losing your trading capital in the process. Being more businesslike about your forex trading activities also allows you to get less caught up in the gambling aspects of trading and instead use sound money management techniques that will considerably improve your long term prospects for survival as a currency trader. As a businessperson engaged in forex trading, you will probably also be more likely to invest time and money in your education as a trader and into developing a profitable trading system. Furthermore, having a trading plan helps objectify your trading activities and can assist you in trading with greater confidence — even when recovering from a substantial loss that can be emotionally devastating to some people. Also, knowing in advance how you intend to deal with certain situations that can arise when trading helps you make faster decisions about what to do. That benefit alone can really make the difference between taking a minor loss and taking a much more devastating loss if the market is moving quickly against your positions. Goal identification. A trader should aim to clearly articulate what their goals in trading are and lay out how they intend to achieve them by trading currencies. They should also determine in advance what conditions would indicate these goals are not being met and make necessary adjustments. Market Research. Creating a trading plan is a great opportunity for an aspiring forex trader to get organized about their trading activities. This means laying out how market research and analysis will be performed and exactly how such analysis will influence trading activities. Position taking. A good trading plan will allow the trader to objectively decide when to take a position, in what direction and in what amount. It will also contain guidelines about when to take losses and profits. Trade Management. Having a trading plan should allow a trader to better manage their trade positions, their trading risks and their emotional responses that might arise when trading. Covering each of those forex trading plan basics should provide a currency trader with a better understanding of why they are trading and when to pull the trigger on a trade or get out of it. Many experienced traders maintain a daily journal of the trades they take and their rationale for doing. This practice can also be exceptionally useful for novice traders since it can help them identify trading errors, improve their trading skills, and help them to revise their trading plans as necessary. Basically, being able to look back over a journal describing their trading activities lets traders better identify what went right in their winning trades and what went wrong in the losing trades. They can then resolve to do more things right and less things wrong in the future to further enhance their chances of trading successfully. If deemed necessary, they can also modify their trading plan by taking this very useful feedback information into account. Since every trader is different, every trading plan should be tailored to fit the personal objectives, psychology and trading style of the individual forex trader creating it. Time, funds and educational commitment. Objective trade entry and exit criteria. Although the above elements are typically included in each trading plan, just about any decent trading plan will ultimately prove worthless if the trader lacks the discipline or ability to stick to it. Accordingly, having a strong commitment to maintaining trading discipline in the face of whatever the market throws at you could be considered one of the most essential elements to a trader’s success. Each forex trading plan will be different to reflect the personal goals, preferences, risk tolerance of the trader creating it. As long as they contain the basic components laid out in the previous section, trading plans do not have to be complex. Some of the best trading plans can seem relatively simple but can yield impressive returns. Goals: To improve my lifestyle by making an extra $1,000 per month from forex trading. Time commitment: I commit to spending an additional 5 hours per week on my forex trading business. Funds commitment: I currently have $5,000 in risk capital that I require for no other purpose and that is available immediately to use as my trading account deposit for margin purposes. Educational commitment: I am presently taking a forex trading course and commit to broadening my knowledge of forex trading practices as required. Broker partnership: I have researched the reputation and tested the trading platform of XYZ Broker and found them both to be adequate. I therefore feel comfortable using XYZ Broker as my online forex trading partner for the execution of forex transactions based on a margin account to be held with them. Legal: Forex trading is presently legal for individuals in my residential jurisdiction and is expected to remain so for the foreseeable future. Market movement risks and position sizing: These will be regularly assessed based on the average of one month historical and implied volatility levels for each currency pair. Those risk parameters will used to inversely weight the sizes of positions taken, to result in larger positions being taken in quieter markets with lower volatility and smaller positions taken in fast markets with high volatility. Account risks and position sizing: Using a Fixed Fractional Position sizing method, each trading position will put at risk no more than two percent of funds remaining in my trading account to reduce risks as funds dwindle and increase risks as funds increase. A 60 minute RSI(4) with its upper line at 90 and its lower line at 10. A Daily SMA(50) and a 240 minute SMA(20). This technical trading system will not be followed in fast markets. Buy a currency pair at the market when it trades above its Daily SMA and under its 240 minute SMA, with an RSI reading below 10. Sell a currency pair at the market when it trades below its Daily SMA and above its 240 minute SMA, with an RSI reading above 90. If buying, exit the trade when the exchange rate moves above the 240 minute SMA. If selling, exit the trade when the exchange rate moves below the 240 minute SMA. I will keep a trading journal in Microsoft Excel, and an entry will be made in this journal for each trade taken. Each entry will list the currency pair, amount and net profit or loss seen on the trade, and it will describe the reason(s) for entering into and exiting the trade. At the end of each month, I will review my trading journal to determine whether any modifications to my trading plan seem warranted by the results it obtained over the preceding three months. You may have heard the saying “Luck Favors those who are Prepared “. And I am sure this is true in the world of trading. Too many new traders enter the forex market with visions of grandeur and begin trading with very little knowledge and no trading plan whatsoever. 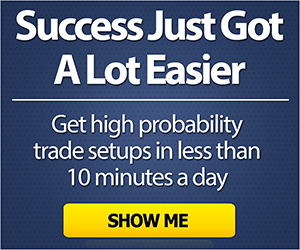 These traders will likely fall victim to the well-known statistic that – over 90% of traders fail. I say this not to scare you, but to prepare you. Preparation requires forethought and planning, and without that, you’re going to be spinning your wheels without getting anywhere. So as we have now made clear, it is imperative that all new traders begin as soon as possible to start putting together a personal trading plan to help guide them during live trading. Trading is difficult to begin with, but many of the negative emotions that arise from trading related activities can be reduced if the trader is prepared and follows a predetermined course of action.